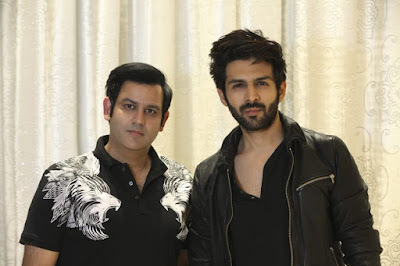 After mega-successful Sonu Ke Titu Ki Sweety, everyone was looking forward to watching #KartikAaryan on the silver screen again, and now the actor has been roped in for the official Hindi remake of Kannada blockbuster #KirikParty. The Hindi remake is a coming of age, romantic film, which showcases how friendship and love can turn a boy into a compassionate man. The film also promises chartbuster music. 'Kirik Party' was one of the highest grossing Kannada films, which ran in cinemas for an impressive 150 days. For the Hindi version, the producers have roped in National Award-winning director Abhishek Jain, who won the award for the Best Feature Film in Gujarati for 'Wrong Side Raju' (2016). He has also directed the Gujarati hit, 'Bey Yaar' (2014). Post the success of 'Parmanu: The Story of Pokhran' (2018), the production house has announced 'RAW' ('Romeo Akbar Walter'), which stars John Abraham, and Vishal Bhardwaj’s directorial 'Pataakha', along with several other exciting projects that are in the pipeline. The Hindi remake of 'Kirik Party' will be produced by Dheeraj Wadhawan, Ajay Kapoor of Kyta Productions and Vrithika Laykar.